i would really apprec the advice of the veterans here! Last saturday july 21, I went for my second TCA cross (and picosure this time), and suggested to the doctor the first TCA cross may have been too light. He used the same strength but told me he applied more his time. Picosure has almost no downtime this time. howevrr for the TCA cross this time, the frosting lasted 2 days (which seems a danger based on the FAQ I just read!!). Then it scabbed and the scab fell off on July 24 (3 days in) for one of the scars, showing a depressed hole. It rescabbed and I applied moisturiser and the balm provided by the doctor. Today, July 28 (Day 7) the scabs have fallen off again. Leaving two large ugly holes. I’m pretty depressed. What can can I do apart from moisturise, sunblock, stay out of sun etc? 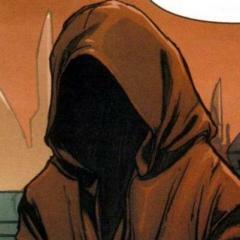 Am going to go to the GP to get antibiotic prescription this afternoon. Question: can easily veterans here advise if my healing process sounds normal or if something has gone wrong? I am Asian with light medium skin. 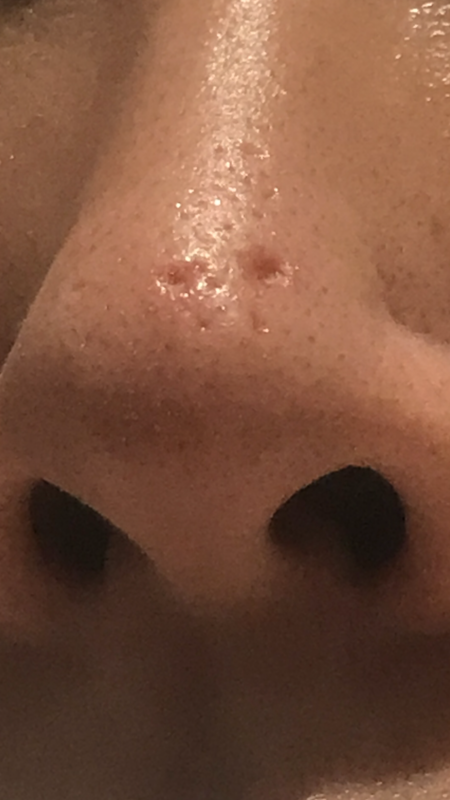 I've never tried TCA cross myself but I was left with similar holes also on the nose tip after a radio frequency treatment gone wrong so trust me, I know how you feel. Anyway, given that your TCA cross was only a week ago, it'd probably be Wise to hold on for a few weeks before trying anything new. If it doesn't improve on its own, then you can Start considering options to get rid of the holes. In my case, after several surgical failed treatments to fill in the holes (single needling, saline injections, scalpel revision), I tried subcision. With the first one I obtained a 30% improvement. The Second one was six days ago but so far i'd rate the improvement at about 60-70%. Note that subcision Will only work if the scar is thethered down, though. what do you mean subcision only works if the scar is thethered (tethered?) down? I’ll discuss it with the doctor - have a follow up later this week. Well, the scar needs to be tethered down within the skin layer so that a needle can cut the fibrous bands pulling it down. Usually some filler is also used to prevent any re-tethering but sometimes it's not necessary. As for TCA cross, I've never done it and I don't know if what you have is normal. i did read a bit about it on these forums and most people have said it looks worse before it gets better so who knows, maybe it Will Start to fill up as time goes by. Why do you need an antibiotic for? Is the skin infected or are you sick? Never take antibiotics on a whim. Think of the consequence you might have to face in the future when you run out of ammunition because you've become resistant to all antibiotics. With regards to the craters, you're jumping the gun. You should wait at least 4 weeks before thinking about treatments. In the meantime, apply Propolis, which has been shown to help build type I and III collagen. I understand this is causing you mental anguish. This is normal TCA cross makes scars wider, that is part of the healing process. Many sessions are needed. Things can be red. The scar can expand and become more surface oriented. Until your ready to resurface with a laser. Many use dermablend (even guys!) to conceal the red from healign. Subcision can also be effective, but this is not "skin" but cartilage, as such it does not behave like other places on the face. as such it's not tethered per say. The scar-pit on the right looks like it would do better with paint on technique or spot peel inside the scar rather than tca cross. See the FAQ- acid section- mega link - then paint on technique for more. Also it concerns me you want to over treat these scars. This isn't something to mess around with too close together. your not giving your body time to heal. It's a slooooooooooooow process. See videos on "rhinophyma" on youtube. While you don't have this it has similar roots (The treatment is as above), to treatment and resurfacing. Multi - coating TCA 80% to this scar.. That is brave. Like BA says, look at it as a 9 month job. 2-3 sessions spaced 8 weeks apart, finish with off label pico. 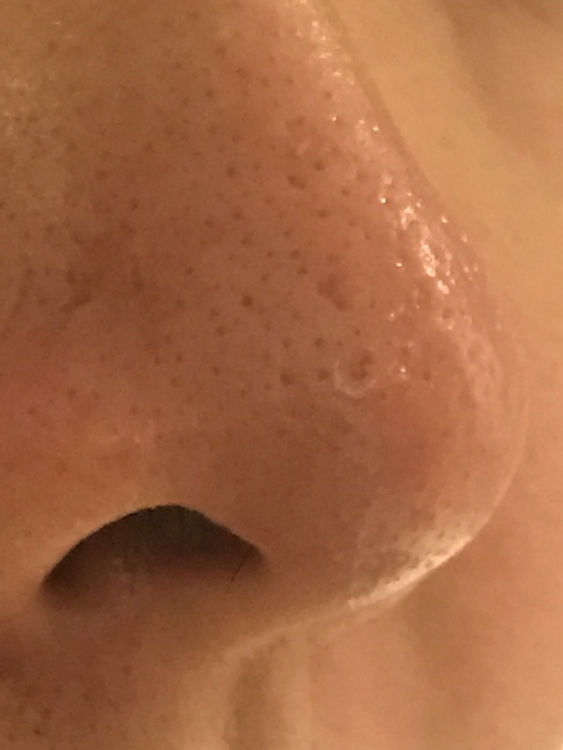 (This reduces PIH, and like you said reduces pore sizing). 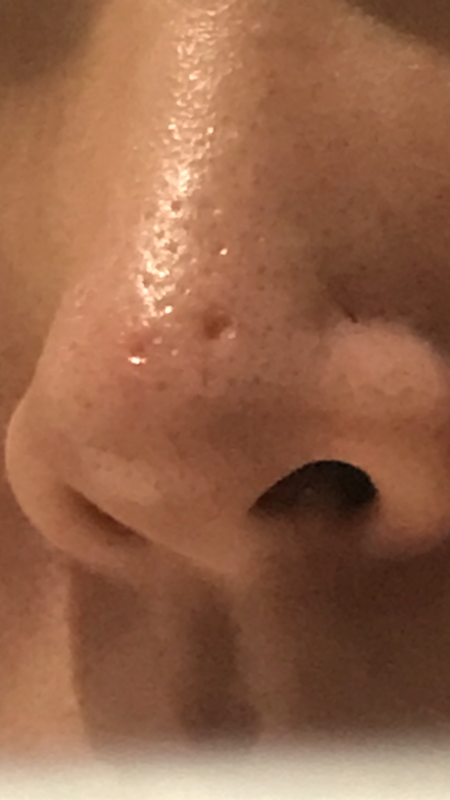 Pores like this on the nose are very tricky- even the experts who perform this procedure several times a day can get broad scars as a side effect. Went to GP to get an Antibiotic ointment prescription. I believe Acne.org recommends keeping wound moist? Where I live it’s prescription only. I’m actually not thinking of doing more treatments now, thanks everyone for cautioning me regardless! My follow up with doc is scheduled Aug 2, so just wanted to have the worst case what-if discussions with him. Thank you so much beautifulambition. Your posts and FAQ have been such a great guide. I didn’t even know about moist wounds until I read your guides. Okay so today is Day 8. If I’m reading everyone right, the deepening and widening (esp what scar pit on right), is not an unusual process? That’s all I am hoping to hear at this stage. 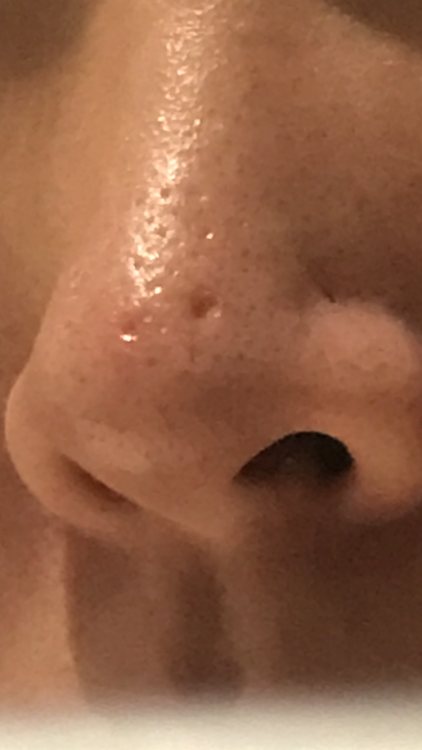 Here is day 8’s picture (July 29 today, TCA cross done July 21) + a picture of my nose pre-TCA cross (early may 2018). It was never awful to begin with, but I really wanted to get rid of the scars and my doctor suggested TCA cross would be great. I hope it proves out right over time. But that’s exactly what I did. Professiona doctor (not home) TCA cross at 80%, thought that’s not abnormal? 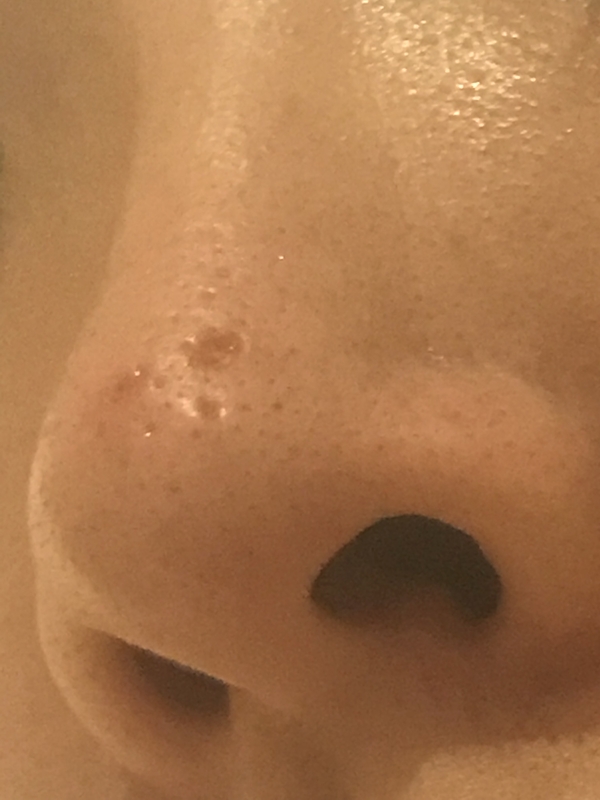 @Tcacrossfirsttimer Your nose scars look completely normal after treatment. Remember I mentioned wider above but shallower. That is what I see. You keep doing this and then resurface or picosure which is great for your skin type and PIE. Yes things get reds for a bit, but there is always spot treatment with dermablend. you don't have to buy anything special from the pharmacy. "Antibiotic ointment prescription." One can simply use vaseline, biaphine, la roche, ... even a thick moisturizer. You just keep it moist. Nothing looks abnormal, we are inducing a wound and the body to heal itself. I see a difference ;-). Hi @Tcacrossfirsttimer do you have any updates on the TCA Cross treatment on your nose? I had a TCA Cross on my nose and have the same concern as you. It looks wider and a bit red. However, I had other treatment too. 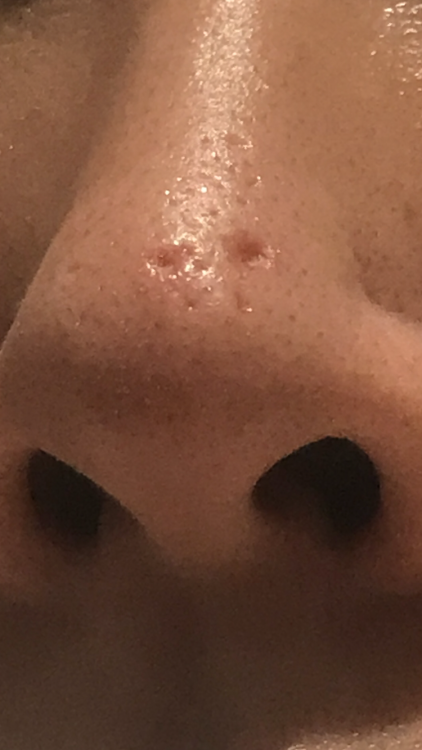 I'm going back to see the dermatologist in about a week. I would love to hear of your improved results. I should start posting photos of my procedures and skin in my thread.